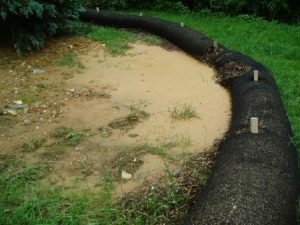 What if I have a small earth moving project, do I need an erosion and control plan? 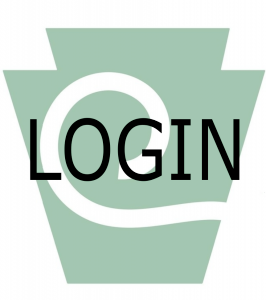 As written under Chapter 102, if you are planning any size construction activity in PA, Chapter 102 and the PA Clean Streams Law require that steps be taken to prevent erosion and/ or treat sediment-laden water in the construction areas prior to the start of construction. Sites adjacent to a watercourse or wetlands, or associated with steep slopes, are particularly sensitive. If erosion occurs on site and dirty water enters another property, a waterway of any size, or a wetland, the Department or the Conservation District may request to see a written E&S plan, or may require that a plan and/ or specific measures be installed. 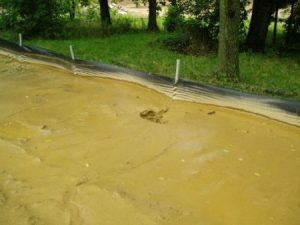 An E&S plan is a written depiction of what steps are to be taken to prevent erosion and treat any “dirty” water before discharging this water off-site. If you are planning to disturb more than 5000 square feet (approx. 1/10 ac.) during earth-moving or if your site is located in a special protection (SP) watershed, Chapter 102 requires an E&S plan be developed and implemented on site prior to starting earthmoving activities. Watershed listings can be found at: http://www.pacode.com/secure/data/025/chapter93/chap93toc.html. In such situations you are not required to submit an E&S plan to the District, although we encourage everyone to work closely with the District. We offer free technical assistance/ guidance to any interested party (you are still required to take steps to prevent “muddy water” from leaving your site). When is an E&S plan REQUIRED to be submitted to the district? Generally speaking, there are three ways that you would be REQUIRED to submit a written E&S plan for review and approval by the Conservation District prior to starting earthmoving activities. One: you are going to disturb one or more acres over the life of the project and are required to submit for an NPDES permit (see below). Two: a local, state, or federal entity with which you need approval/ permits requires that you provide an approved E&S plan before they will approve/ permit your project/ activity. Three: your activities are determined by either the Department or the Conservation District to have the potential to discharge sediment-laden (dirty) water into a stream, watercourse, wetland, etc. REMEMBER: under the Clean Streams Law and the Chapter 102 regulations both the landowner and the contractors may be held responsible when sediment-laden water is running or discharged from a construction site. When do I need a NPDES permit? The NPDES program is a federally mandated regulation governing earthmoving activities (except agricultural tillage and timber harvest) that disturb 1.0 or more acres of ground over the entire life of the project (see definitions for “life of project”), including individual lot development and known future expansions. If a construction site will disturb one or more acres (disturbed acres is not necessarily the same as total project acres), you would be required to submit for an NPDES construction permit. Part of the permitting process requires submission of an E&S plan. If you require specific details regarding construction permits, please contact the Conservation District for direct assistance.